Belarus' opposition will be "bashed in the head" unless it stops destabilizing the country, said Belarusian President Aleksandr Lukashenko. While opposition activists are being sentenced to jail, the country is in bad need of an opposition leader. ­Lukashenko’s comment comes just days after the first person involved in last year’s mass protests in Minsk, Vasily Parfenkov, was sentenced to four years in jail. 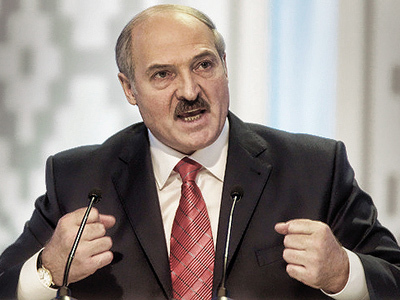 Lukashenko seems more than serious in his promise to punish the organizers of the December unrests. The current opposition in Belarus is very divided and too diverse to become a substantial political force in the country, argues Dmitry Babich, a political analyst from Russia's RIA Novosti news agency. “There are Belarusian nationalists who actually represent a tiny minority of the population, there are people who oppose Lukashenko on purely democratic grounds, there are communists – all sorts of people,” said Babich. As a result, the opposition in Belarus has so far failed to work out a common message to the electorate or to agree upon a reforms package or foreign policy, says Babich. Foreign policy is a huge factor in building proper opposition in Belarus, as the opposition is also further divided into pro-Russian and pro-European politicians. An ideal candidate to head the opposition and suit everyone will be very hard to find, says Babich, especially taking into consideration the EU’s position. “If the European Union and the United States drop their simplistic view of the post-Soviet space – they still view Russia as the root of all evil there – if they drop this simplistic view, I think, it will be possible to find a person who would be acceptable for all – Moscow, Brussels and Washington,” Babich declared. The current economic and political sanctions adopted by the EU will neither work properly nor contribute much to the democratic process in Belarus, argues Babich. Minsk will place a bigger emphasis on relations with Moscow, as Russia is Belarus’ most prominent trade partner. “Since there is always a possibility of liaisoning with the European Union via Russia, there can be no real isolation of Belarus. Belarus has never been completely isolated from the outside world. It is not North Korea, it is not Saddam Hussein’s Iraq, it is a much more peaceful and civilized country,” concluded Babich, calling on the EU to practice openness rather than sanctions. 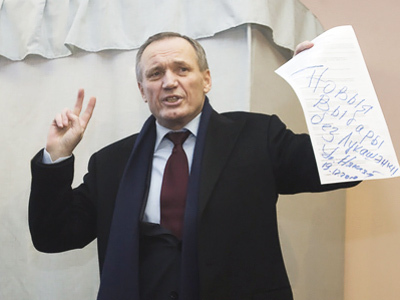 In December 2010, thousands of opposition activists took to the streets of Minsk as the polls closed in the country's presidential election. Over 600 protesters were arrested, and more than 20, including several presidential candidates, are facing trials. The EU has sanctioned Belarus, restricting its contacts with Minsk top officials and banning them from its territory. According to the editor-in-chief of Russia in Global Affairs journal, Fyodor Lukyanov, Belarus opposition is still too weak to stand up to Aleksandr Lukashenko’s rule.